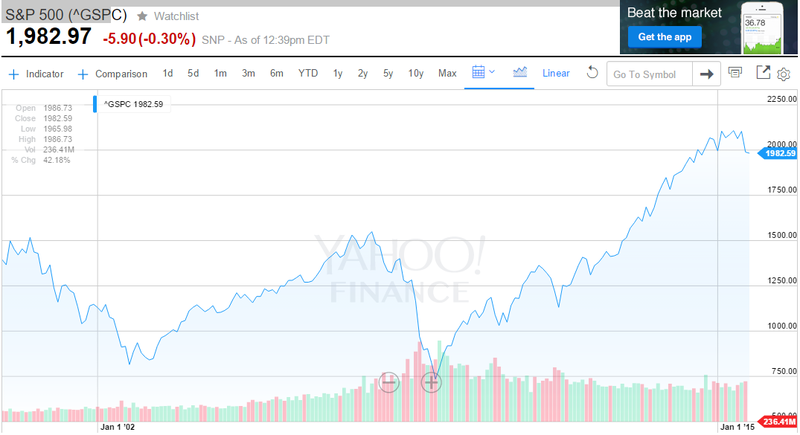 You’re probably making this one big financial mistake – Innovative Retirement Strategies, Inc. If somebody owed you $1,000, would you rather receive it today or 10 years from today? It’s not a trick question. The answer is a no-brainer. Of course you would want to get the money today. With inflation who knows what the purchasing power of $1,000 will be 10 years from now. Let’s turn it around and look at it the other way. What if you owed someone $1,000? Would you rather pay them today or 10 years from today? Again, it’s not a trick question. Because of inflation, that $1,000 will be worth less in the future, so it makes sense to delay the payment. Again, the answer seems very simple: $1,000 will be worth much less 10 years from now than it is today, right? If you could earn 7% on your money, you could take $508 and invest it today and it would grow to $1000 in 10 years. (1) You get to choose: do you want to spend $1,000 or $508 today to pay back this loan? If this simple financial logic makes so much sense to you right now, then why is it that most Americans strive to pay off their mortgages and live debt free? Pop-culture financial gurus like Dave Ramsey and Suze Orman advise us to pay off all of our debts and live debt-free. That’s the American dream, isn’t it? But that advice flies in the face of the basic financial logic that I explained in my first paragraph above. The real problem is not debt, it is that some people don’t understand how to manage their debt. Are you making this mistake? If you own a home: Do you have a 15 year or a 30 year mortgage? Are you making extra payments toward your principal? Let’s go back to the second paragraph above. Mortgages today are a combination of principal repayment and interest on the principal. Each payment you make reduces the amount of principal you owe back to the lender. If you understand that a future dollar is worth less than a present dollar, then why would you want to pay the lender back any earlier than you have to? Let’s say you purchase a $100,000 house today with an interest-only loan instead of an amortizing (principal and interest repayment) loan. In 30 years you intend to pay back the principal. Just as in the example above, if you can make just 7% on your money, how much would you need to invest today in order to pay off the $100,000 loan 30 years from now? Think about the bad rap that interest-only mortgages have since the last economic meltdown. Its not a bad financial product, its bad debt management by the people who used those mortgages. It can be a tool for wealth building in the hands of someone with a little financial sophistication. Bottom Line: It does not make good financial sense to pay off mortgage loans early to build up equity. Proper debt and equity management is the core of your retirement nest egg. Most people retire with two main assets: a home that is paid-off and their life savings. Only one of those can pay the bills and put food on the table. If you have trouble managing your debt and personal finances, you have the likes of Dave Ramsey and Suze Orman to guide you. If, however, you are perfectly capable of managing your money and making good financial decisions, don’t follow the conventional wisdom. (1) This is an example of my favorite rule in finance: The Rule of 72. If you divide 72 by the interest rate you are earning on you money, the result is the number of years it will take to double you money. In this case ~$500 will double to $1,000. 72 ➗ 7 = 10.28 yrs. (2) Rule of 72 again. At 7% interest, investment will double roughly every 10 years. In 30 years the original investment will double, double again, and almost double one more time reaching almost 8 times amount of the original investment! Previous post Is IUL or Whole Life better for infinite banking?